Your driveway and patio have turn into so soiled that they are getting dangerously slippery? Order the services of Excellent Carpet Cleaning. We are a professional jet washing and hard floor cleaning company offering first-class cleaning services in Notting Hill Gate W11at a reasonable selling price. We will happily provide you with the specialist hard floor cleaning, scrubbing, polishing, sealing, tile recoat and anti-slip protection service you require. Get in touch with 020 3404 0500 or send us an online inquire here for a free, quick and non-binding price offer and discount info. If you would like your hard floor to look just like new once again, book our qualified hard floor and jet washing service right now. Our cleaners come prepared with the latest technology for emulsification, heat, pressurised cleaning, and effective capture of the waste. 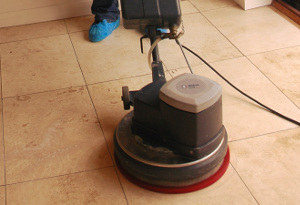 A specialized vacuum cleaner is used to clean the hard floor surface from any debris and dust. Any old sealant is eliminated with professional floor polish stripping and sealant removal techniques. All stains, dull spots, watermarks and micro scratches are pre-treated and then a spray or other detergent is used for the cleaning and buffing of your flooring. During the stone or wood cleaning, any surface soiling is carefully taken out. The cleaner could need to rinse, scrub and dry the hard floor. Once the floor and grout area have been professionally cleaned, continuing protection is gained with an impregnator to keep it covered from soiling and stains. Our cleaners can clean your backyard hard floors via jet washing. We provide high quality: driveway cleaning patio cleaning and pressure washing. The outdoor cleaning includes - decks, paths and drives. So, no matter what sort of hard floor you have. If you are in Notting Hill Gate W11and need a competent jet washing and hard floor cleaning service, call us! We have been providinghome and business owners in Notting Hill Gate W11 with a qualified scrubbing, polishing, sealing , hard floor cleaning, tile recoat and anti-slip protection service since Excellent Carpet Cleaning was founded back in 2005. We are well-known for our high quality and reliable hard floor cleaning and polishing services, tile and grout cleaning, recolouring and grout colour sealing, restoration of porcelain and ceramic hard floors as well as for our expert vinyl floor cleaning, specialized slate and stone floor cleaning, professional floor sealing and polishing and the hard floor sanding service. During the years, we have become one of the top preferred local suppliers of domestic and commercial hard floor maintenance and cleaning services. Ordering one or more of our pro cleaning services is effortless, quick and totally free. Contact our helpful client support team, and you will receive written verification for your booking in no more than Two hours. Get in touch with them via the online booking form here, or by calling 020 3404 0500. No advance payment is needed. All of our cleaning prices are set without any covered fees. We offer cleaning on holidays or weekends also. If you get a combination of Two or more of our cleaning services at once, we will give you very attractive discounts from our price. If you book early on or you are a regular customer, you will be treated with our special prices. These prices are also viable for all local landlords and agencies. Reserve our hard floor service and jet washing now to get your floors rejuvenated, cleaned and safe for walking.